Participating in undergraduate research is an exciting opportunity and privilege, but can also be a bit daunting when first navigating how to find opportunities on campus and knowing what to expect. Overall, undergraduate research will usually involve you (the student) working with a graduate student/post-doc/lab tech/staff scientist on a research project related to the goal of your research advisor. Listed below is more information about what to expect when getting involved in undergraduate research. You may also find answers to your questions on the FAQ page. Research is a great opportunity to start applying the knowledge you have learned in your classes! Research is very specialized so will always require lots of additional learning beyond your course work – ask lots of questions of your mentor! Undergraduate researchers are encouraged to explore all sorts of disciplines they may be interested in before making their choice of which field to conduct research. 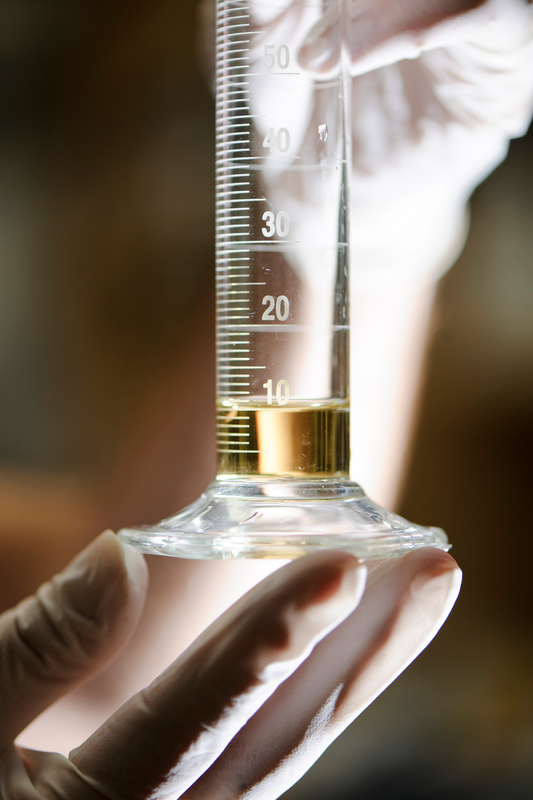 The Chemistry Department has professors leading research in all areas of chemistry, and many of them conduct research that is interdisciplinary with biology, medicine, engineering, materials, physics, etc. All research opportunities, will offer the opportunity to learn new laboratory techniques and investigate chemical concepts. Your mentor(s) will work with you to develop a project and you are encouraged to share your suggestions. The project will be related to the focus and research goals of the research group and will be approved by the research advisor. Research groups look for students that are willing to commit several hours a week (often a minimum of 6-8 hrs/week), have 3 or 4 hr blocks of time in their schedule, and are hoping to stay in the same research group for multiple semesters. 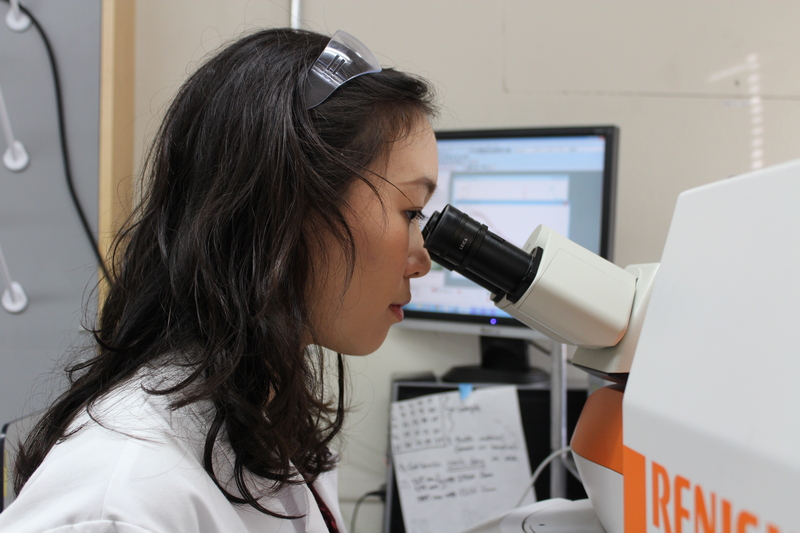 This allows undergraduate researchers to become fully immersed in the research environment. Often, research experiences culminate in a written or oral presentation that allows students to communicate the results with their research group, their department, or the greater scientific community. 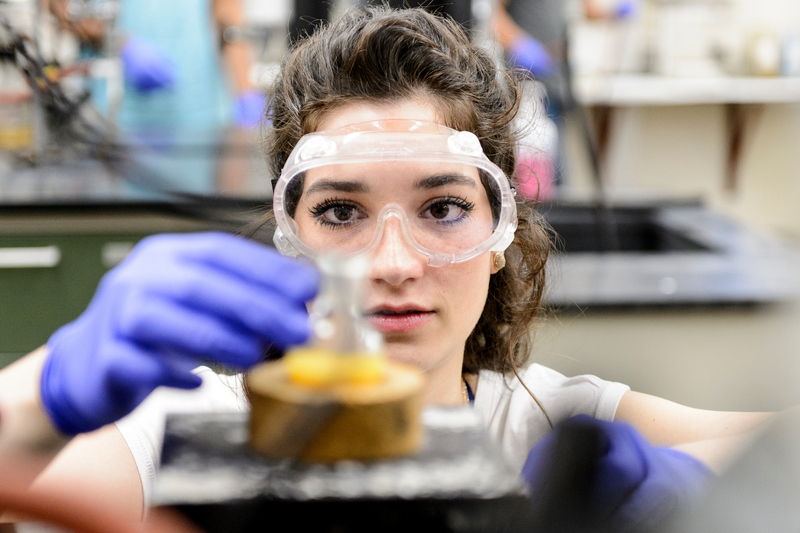 The Department of Chemistry organizes an undergraduate poster session every spring where students involved in undergraduate research showcase their results. Students’ findings may also be presented at campus-wide undergraduate symposia, at regional and scientific meetings, such as American Chemical Society meetings, or may be incorporated into papers submitted for publication. For additional information, please click here. Your goal as an undergraduate researcher should be to conduct novel research. However, the level of independence required of or given to undergraduate researchers will vary depending on the group you join, which research project you have the opportunity to work on within that group, and your experience and knowledge in the field. Keep in mind that most students need training on the specific techniques/instrumentation their research group uses when they begin, so there often is a period of time where you will be asked to repeat experiments that have previously been done or make starting materials for group members before moving on to a project of your own. Use this ‘training’ time wisely—ask lots of questions so you can learn as much as you can about how these techniques or methods work and what role it plays in the bigger picture of the research group. As you gain more experience, knowledge and confidence, along with trust from your research group, you will be given more independence to investigate individual research questions. Most often, beginning undergraduate researchers will have the opportunity to participate in ongoing research projects under the supervision and guidance of a mentor/adviser — usually a graduate student, postdoc, advanced undergraduate or professor mentor. Your mentor will likely go through moderate to extensive training on the new techniques/instrumentation you will need to know. Some of this training will build on what you learned in previous laboratory classes, and some will be completely new. Overall, your mentor is there to help you, so you should be prepared to ask lots of questions. As you gain more experience, you will be expected to become more independent and may even be asked to take the lead on the research project.